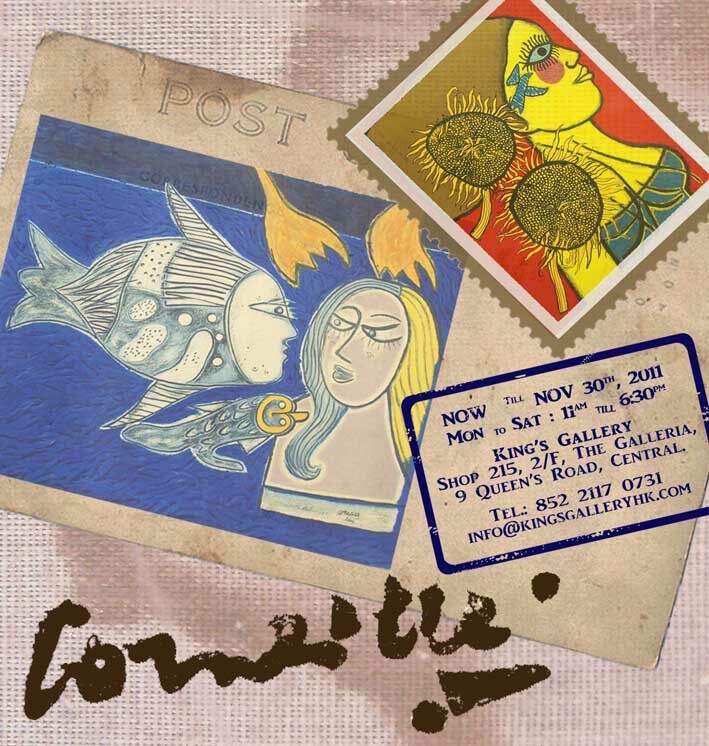 King’s Gallery cordially invites you to the solo exhibition of Corneille. Renowned Dutch artist Corneille (Guillaume Cornelis van Beverloo , July 3, 1922 – September 5, 2010) has his remarkable oeuvre showcased in Hong Kong. As one of the founders of the CoBrA movement in 1949, his works drew inspiration from Joan Miro, Paul Klee, children’s drawings, folk art and primitive art forms. He commenced collecting African art in 1951, these primitive artifacts became manifest in his art pieces. He began employing a more imaginative style, composing with a complete freedom of tint, mighty brushwork and childlike figures. Click here for more information of the artist.